Social Action has been a priority at Ohr Shalom for many years. In the past, we have had an active Tikkun Olam committee which has taken on projects as diverse as raising community awareness of the genocide in Darfur, raising money for solar cookers for Darfurian refugees, raising funds for disaster relief for Hurricane Sandy, the earthquakes in Haiti and Japan. 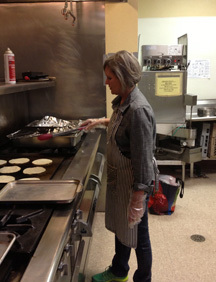 We have prepared and served dinner at our homeless shelter, Homeward Bound, on a regular basis. Our members have also volunteered to spend the night at local churches during the winter as we help to get the homeless out of the cold when the shelter experiences over-flow. Our congregation is a member of the interfaith council, GVIN, and helps out with many of that group’s projects. We hold a very successful food drive at Yom Kippur and have supplied many bags of food to our local food bank.